This course is designed for gardeners who would love to be able to propagate their own plants and save money! This will be a hands-on opportunity to try a number of different techniques, and learn the best way to get successful germination and improved strike rate of your cuttings. 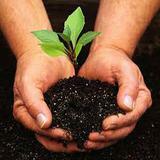 • Re-grow plant from kitchen scraps, and re-grow plants you have already harvested. Designed to be fun, interactive and to give you confidence to grow your own Food and Medicine at home. Includes all materials (you’ll take home LOTS of goodies), class notes and tea and coffee. The aim of this workshop is to help you learn how to make easy DIY first aid remedies for minor ailments. It is very important if you do have any ailment, to see your Healthcare Practioner before taking any herbal medicine. All products that we make in this workshop you get to take home. You will also be given class notes, formulation sheet, recipes for the products that you have made, also some extra recipes for you to try at home. Also available for you to purchase will be all the ingredients that you need to continue to make your own DIY Herbal Medicine The other products that we will have for sale are our Organic Herbal Tea range, Essential oils, Dried Herbs and jars. You will also be added to our closed Facebook page so you can read what problems or success other people have had or not had. This is a great platform where you can ask questions if you are not sure. The aim of this workshop is to help you to understand and learn how to make your own Natural Organic Facial skin care range. This is the first workshop of two “Natural Organic Facial Skincare” workshops that we have to offer. This workshop is for the beginner, so if you have never made your own Skincare range before or you have only dabbled with a couple of facial products, then you will need to start here. Unless you have completed this workshop it is not advisable to continue to the next workshop, which is for Intermediate students. Which products to use if you want to make your own Vegan friendly skincare range. Also available for you to purchase will be all the ingredients that you need to continue to make your own Natural Organic Skincare Range at home. The other products that we will have for sale are our Organic Herbal Tea range, Essential oils, Dried Herbs and jars. This workshop is the second in a two part “Natural Organic Facial Skincare” Series. It is advisable to start with the beginner’s workshop as we won’t be covering the basics that were covered in that workshop. This workshop is a continuation and it goes deeper into how to manufacture your own “shop Bought” Natural Organic Facial skincare products. The aim of this workshop is to teach you how to formulate and manufacture your own range of Natural Organic Facial Products to give as gifts to your family and friends. The aim of this workshop is to help you to understand and learn how to make your own Natural Organic Body skincare range. This is the first workshop of two “Natural Organic Body Skincare” workshops that we have to offer. This workshop is for the beginner, so if you have never made your own Skincare range before or you have only dabbled with a couple of body products, then you will need to start here. Unless you have completed this workshop it is not advisable to continue to the next workshop, which is for Intermediate students. This workshop is the second in a two part “Natural Organic Body Skincare” Series. It is advisable to start with the beginner’s workshop as we won’t be covering the basics that were covered in that workshop. This workshop is a continuation and it goes deeper into how to manufacture your own “shop Bought” Natural Organic Body skincare products. The aim of this workshop is to teach you how to formulate and manufacture your own range of Natural Organic Body Products to give as gifts to your family and friends. This workshop is a two part “Organic Hair Care Product” workshop series. It is advisable to start with either the beginner’s workshop in “Natural Organic Facial” or “Natural Organic Body” product workshops. Making your own Organic Hair Care Products will take a bit of experience, so if you are new to manufacturing any type of skincare/haircare products I would recommend completing either of the above workshops. This will help you to keep up and understand each step. The aim of this workshop is to teach you how to formulate and manufacture your own range of Organic Hair Care Products. We will start with the easier types of Organic Hair Care Products in week one and then move on to the more in-depth products in Week 2. If we don’t manage to finish all of the manufacturing in Week one, then we will finish them off at the beginning of Week 2. You’ll learn how to combine and blend herbs to make a range of soothing herbal teas. You will discover how safely and effectively blend teas and learn about flavour, balance and visual appeal of herbal blends. Tea has no sugar, no fat or sodium and the antioxidants in tea are celebrated for helping to neutralize free radicals. 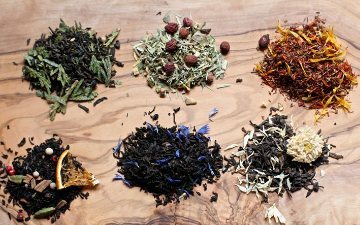 Learn the basics of choosing the perfect tea base. Taste test our blended creations. My name is Shannan Caldwell and I have been extracting my own essential oils for home use over the last few years. I am currently undertaking my Bachelor of Science degree at UWA and upon completion I hope to further my studies with in the kingdom of plants. I first became acquainted with essential oil extraction from my fascination of a specific mode of herbal medicine preparation known as Spagyrics. My experience in distilling essential oils is based on an age old method known as trial and error, which has not led me astray thus far. Essential oils (Oils) and herbs work brilliantly together. There are herbs and Oils that can work synergistically together to help you with any type minor ailment. Very important though, is if you have any major issues, please seek advice from your health care Practitioner before trying any of the suggestions you learn in this workshop.